2016 - 2019 Ford Transit 150, 250 & 350 O-Mega II 54" Aluminum sliding door side step. 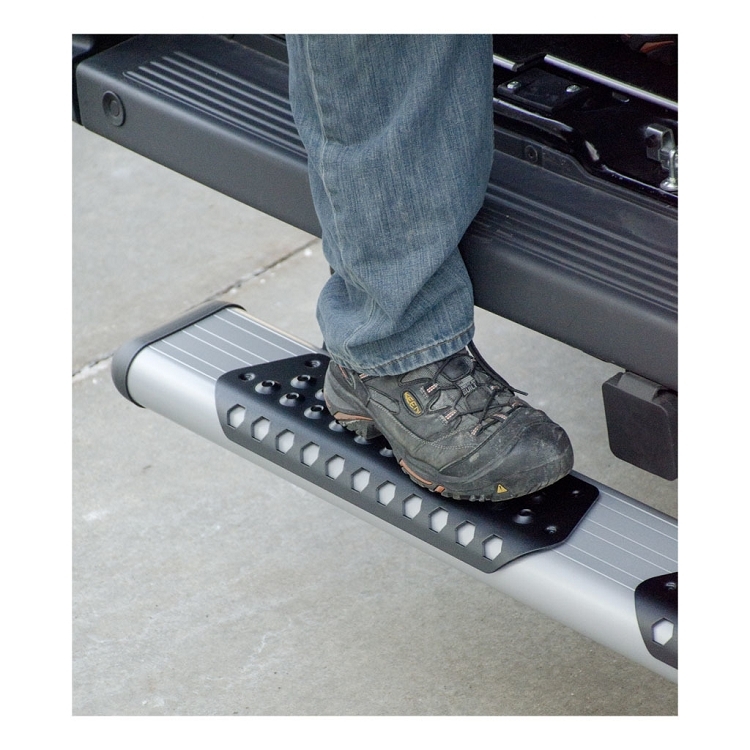 Each set includes one 54 inch step, mounting brackets and instructions. Step has molded tread inserts. Choose satin or black powdercoat finish. May interfere with back up sensors if so equipped. Does not fit Transit Connect.